You would have thought watching last nights Yankee game that it was a win at all cost situation. 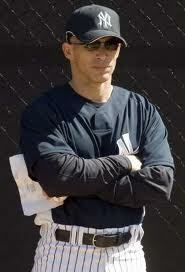 Joe Girardi, is quickly becoming known for his analytic style of managing. You will often see him sorting through his binder, which is the size of a phone book, sifting through different pitching match-ups in late game situations. I am all for statistical analysis, as that goes hand-in-hand with the game of baseball these days, but Joe Girardi ALMOST out managed himself last night as he luckily pulled off a win. For starters, Girardi channeled his inner Tony La Russa, batting his starting pitcher David Phelps in the 8th slot last night. I never really agreed with the logic of batting your pitcher 8th but at least there can be reasoning behind it at times, especially if it is a good hitting pitcher. Only one problem, Phelps isn’t exactly known for his bat. Instead Girardi attempted to justify his decision saying that because he batted Robinson Cano second in the line up, he did not want the pitcher’s to potentially lead off an inning Cano is due at-bat. He is referring to the event that you have the 9-1-2 spot due up. First off, Cano has no right batting 2nd in this line-up. There is no reason he should be batting anything other than 3rd or 4th with this depleted roster. He is far and away the best hitter on this team and needs to be batting in a spot where he can drive in the most runs for the Yankees. Secondly, his reasoning is just down right awful, it was as if he had just come up with that excuse on the spot when that question was presented to him. It just doesn’t make any actual sense any way that I look at it. Everyone KNEW this decision was going to effect this game some how, some way. In the top of the 9th with 2 outs and the bases loaded David Robertson was due up to bat (Robertson had entered the game in relief). Now in what would usually be a position players slot due at-bat, Girardi was forced to use a pitch hitter and called upon Brennan Bosch. He did go on to drive in the winning run with an infield single. Great move right? Not so fast. Girardi had also pitch hit for Chris Nelson, the games starting third base man, earlier in the inning. Now entering the bottom of the 9th the Yankees were left with no infielders on the bench to step in and play third base. This forced Girardi to put Vernon Wells at third base. Wells has never played third base in his life! How was this an after thought?!? This is not the first time a situation like this has happened, just earlier this season Girardi was forced to put catcher Francisco Cervilli in at second base under similar circumstances. I would love to see where in that giant binder of his that it says this was the move to make. I understand everything worked out great for the Yankees. They won the game and Vernon Wells even recorded an out at third, was there really any doubt that the ball would find him? Girardi has done a great job so far this season, he has the Yankees in better position than anyone could have imagined with this current roster. But he will need to tone these moves down a notch and coach a better ball game if this team is going to win games when they really matter. Girardi isn’t coaching a team that can overpower everyone on the way to winning a championship like in his 2009 team did.